I'm a beginner trying to put together my first project. I had a song classification project in mind, but since I would be manually labeling, I could only reasonably put together about 1000 songs, or 60 hours of music. I would be classifying with several classes, so it's possible that one class would have as few as 50-100 songs in the training set- this seems like too few! Is there a general rule of thumb for how much data is needed to train a neural network to give it a shot at working? Edit: I was thinking of using a vanilla LSTM. The input features will have dimension 39, output dimension 6, my first attempt for hidden layer dimension would be 100. It really depends on your dataset, and network architecture. One rule of thumb I have read (2) was a few thousand samples per class for the neural network to start to perform very well. In practice, people try and see. It's not rare to find studies showing decent results with a training set smaller than 1000 samples. (1) Dernoncourt, Franck, Ji Young Lee, Ozlem Uzuner, and Peter Szolovits. "De-identification of Patient Notes with Recurrent Neural Networks" arXiv preprint arXiv:1606.03475 (2016). 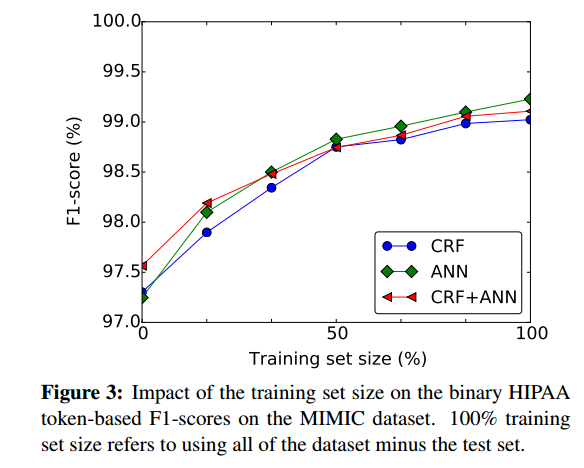 For classification tasks with a few thousand samples per class, the benefit of (unsupervised or supervised) pretraining is not easy to demonstrate. How to get the data set size required for neural network training? What is the minimum sample size required to train a Deep Learning model - CNN? How to improve the binary classification model for text (News Articles) of Recurrent Neural Net with word emmbeding? How to select validation data when training a neural network? Contradictory input/output pairs when training neural network?